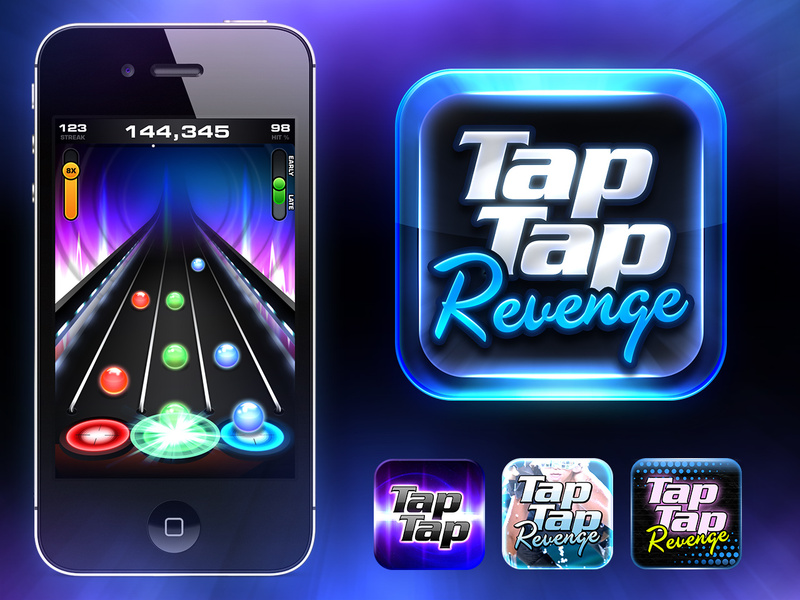 I was privileged to work on the hit franchise Tap Tap Revenge! Various versions of the game hit the number spot in the Apple App Store. As a key part of the small visual design team, I worked on UI/UX, icons, marketing assets, gameplay animations, and more! 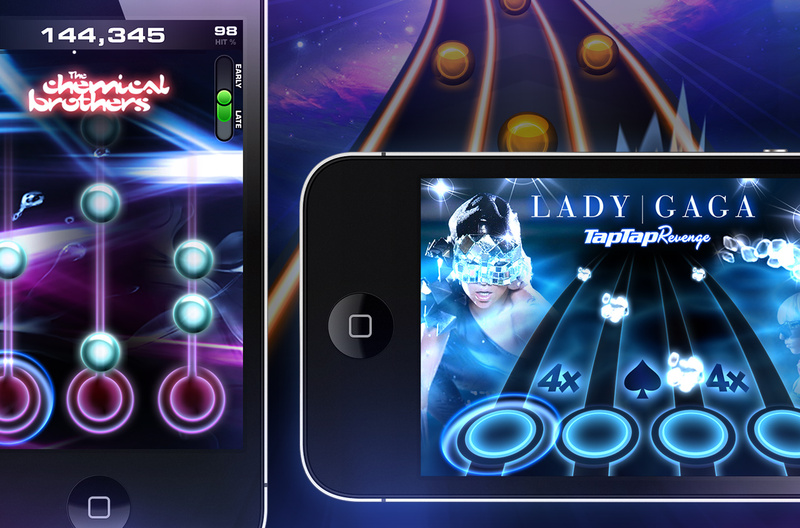 We worked with hundreds of music artists, customizing our game to each musician’s look and feel. At least once a week, I would create a new skin for our featured artist by customizing our game with their creative direction. Lastly, it was a privilege seeing Steve Jobs demo our game live on stage during the iPhone 4 keynote! Our game’s icon was also featured on WWDC banners one year. Original TTR logotype designed by Bryan Bell.